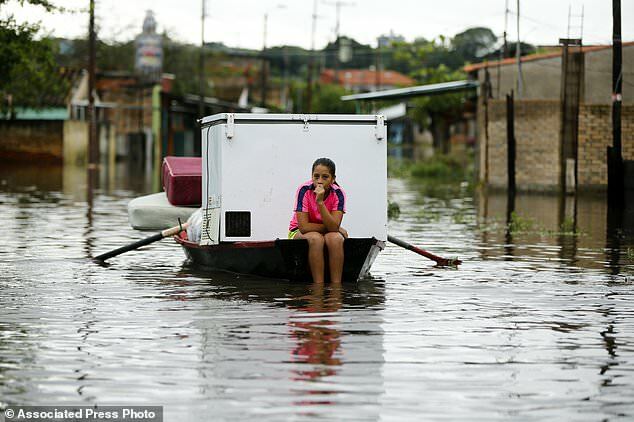 RIO DE JANEIRO (AP) - Civil defense officials say heavy rains in northeastern Brazil have killed at least three people and displaced 3,600, while apparently unrelated flooding far to the south in Paraguay has forced some 20,000 people from their homes. 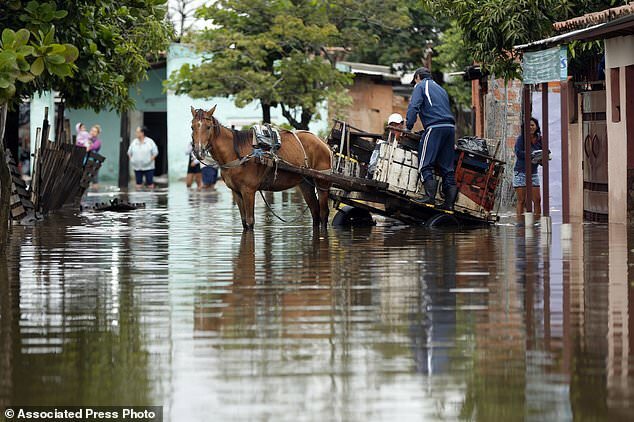 In neighboring Ceara state, meteorologists say 6.4 inches (162.3 millimeters) of rain fell on the city of Granja so far in April. That's flooded the Coreau River. 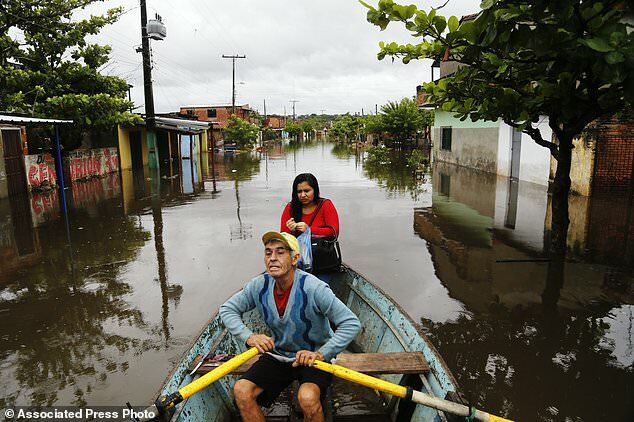 Meteorologists say rains are expected to continue through Friday.